In recent years, hosted PBX service has been advancing by leaps and bounds and becoming the other highly welcome option for SMB. Eastern Management Group issued a report highlighting many positive trends seen by this market over the past year. This blog will provide you with insights into the SMB hosted PBX market in 2019. 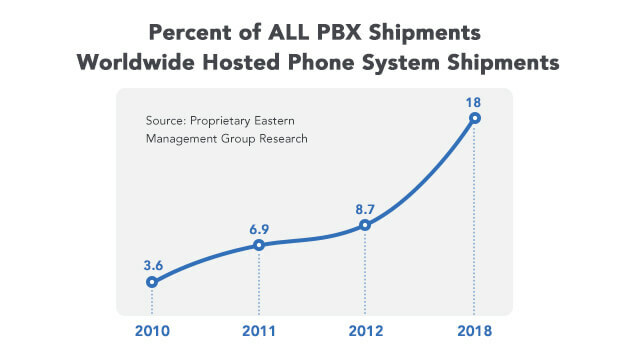 According to the report, hosted PBX sales are 18.1% of the total PBX market, up from 3.6% in 2010. SMB, under 50 users, will remain, for the foreseeable future, the largest hosted PBX market. 2018 Is another eventful year for hosted PBX business. If you’re a hosted PBX provider or reseller, the stats means that right now is the optimal moment to capitalize on the soaring of the market. According to Eastern Management Group, cost is the number one driver of hosted PBX growth. SMBs want cheap seats and only basic voice features. A primary motivator for SMB is to save them money and hassle. They are looking for using hosted VoIP services to slash their operational costs and capital expenditure on infrastructure and hardware, without compromising on the reliability and functionality of their phone service. With the hosted voice solution, SMBs have access to a fully-functional business phone system without being charged an arm and a leg upfront. Some hosted PBX service can even let them start making calls as soon as they sign up, which is particularly good news for their cash flow in the short term. Not only initial but also long-term savings come with hosted PBX. SMBs are particularly looking for a predictable month-to-month subscription price based on the number of seats and concurrent calls, which meets both their performance and budget requirements. The best hosted PBX providers allow for line-by-line tailoring of service plans so that companies only pay for what they actually use. Costs for a hosted PBX are known in advanced and will remain unchanged over the life of the contract with the service provider. Hosted PBX is a perfect fit in particular for new and smaller SMBs with no dedicated IT personnel on hand to take care of their business phone system. With a hosted VoIP solution, just plug the phone and make the first call. It could be as simple as that. Because the core phone system resides in the cloud and is managed by service providers, SMBs need not worry about having experts in-house to maintain the system and troubleshoot issues. Hosted PBX providers are directly responsible for its upkeep, including network equipment, system upgrades, and ongoing maintenance. According to Forbes, hosted phone service supports the frenetic growth that many small businesses face without a large upfront investment. Mouth-to-month seasonal changes are normal for SMBs, especially start-ups experiencing rapid growth. That’s when one size does not fit all. 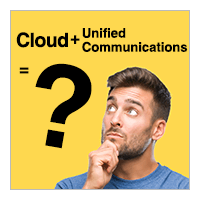 A cloud-based hosted VoIP solution allows for adding new phone lines, new extensions, and new phones, and shrinking back down again as business need changes. Hosted PBX service can support from just one or a few users to several hundred, and even thousand, depending on the options offered by the service provider. SMB can thus avoid paying for more than they actually need at any given time. According to Forbes, mobility is the largest or one of the largest catalysts for hosted PBX growth. 84% of IT managers say mobility is important to them. Today’s workforce requires agile business communications. Many work from home, on the go, or as a full-time remote employee. The growing volume of work performed away from the office is pushing up the demand for hosted PBX and unified communications. Unified communications enables employees to work across multiple devices. Employees can set up IP phones, plug in their laptops, or use their smartphones to make phone calls from through the hosted phone system. 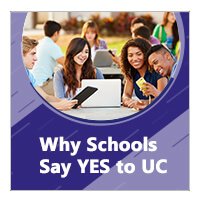 UC features such as Presence, Instant Messaging, One Number Reach, CRM Integration and more, make it easier to integrate a mobile workforce and reduce communication response time. Multi-location companies have found a convenient starting point for hosted PBX. A hosted voice solution allows them to unify distant offices and a handful of teleworkers spanning around within a single PBX system. Geographically dispersed employees can then enjoy the same features and communicate as if on the same floor of one office building and multi-location offices operate as one. Most SMBs have less than 300 users and no more than a few locations. While a branch could be the first installation, this suggests a larger business and perhaps a networked location. With the trend and statistics as these, have you considered adding hosted PBX service into your portfolio? Would like to try out hosted phone systems first? Free trial. 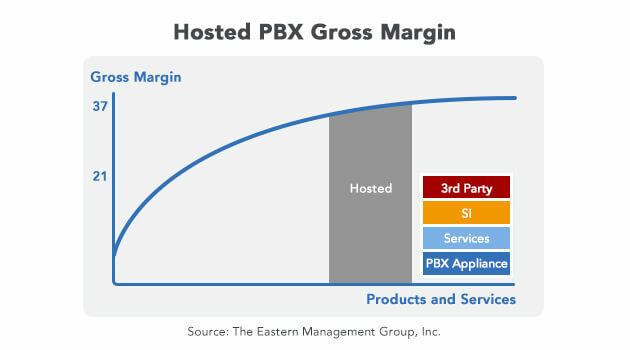 According to Eastern Management Group, Hosted PBX offers good margins all the way down the distribution line. A model hosted PBX provider, and there are many, generates 50-75% gross margin. Given the increasing favor of cloud-based PBX, hundreds of service providers offer hosted PBX today, and there is still abundant room and ample business opportunities in this industry. If you are considering starting hosted PBX business, here are some conclusions drew from the market analysis that might help you have a better understanding of the marketplace. Some vertical markets are large users. Word of mouth inside a specific niche is louder. Targeting certain vertical markets helps shrink the competitive field and doesn’t have to be expensive. Top vertical markets for hosted PBX are professional services, healthcare, education, and retail. Vertical industry marketing is the fast lane to increase revenues for hosted PBX providers. For every targeted vertical market with distinctive need, hosted PBX providers better offer solid use cases, market-specific feature packages, and customized bundled services. Recurring revenue meets the need of both hosted PBX providers and customers. Subscription-based pricing model gives hassle-free shopping and user experience, leading to sticker customers and low customer churn rate. The monthly churn of hosted PBX services for SMBs is no more than 1.3%. The cross-selling and up-selling greatly help in building recurring revenue. It’s a smart sales technique to pair hosted PBX service with 3rd party products, system integration, and other plus services. Many providers also up-sell upgrades and add-ons based on their deep understanding of customers’ challenges and goals. Some questions needed to be considered in advance. There are proven ways to start a hosted PBX business without too many obstacles and with predictable success. To eliminate the potential risk and maximize the profits, you’d better consider some certain things before making an informed decision. Which vendors should you turn to? What kind of customers should you target? What are your selling points? What do your customers expect from hosted PBX service? What is the most effective sales approach? The list can go on depending as the case may be. For service providers and telecom resellers, now is the time to offer hosted PBX service to your customer. The key is to find the right approach with minimum risk and maximum profit potential. Yeastar has developed a centralized hosted PBX service delivery platform, Yeastar Management Plane(YMP), for you to jump-start hosted PBX business fast and easily. Learn more about Yeastar Management Plane Turnkey Solution. If you would like to see for yourself and get solutions customized for your specific needs, schedule a free demo today. Your account manager will walk you through the whole system, introduce our different business models and work out the ROI for you.